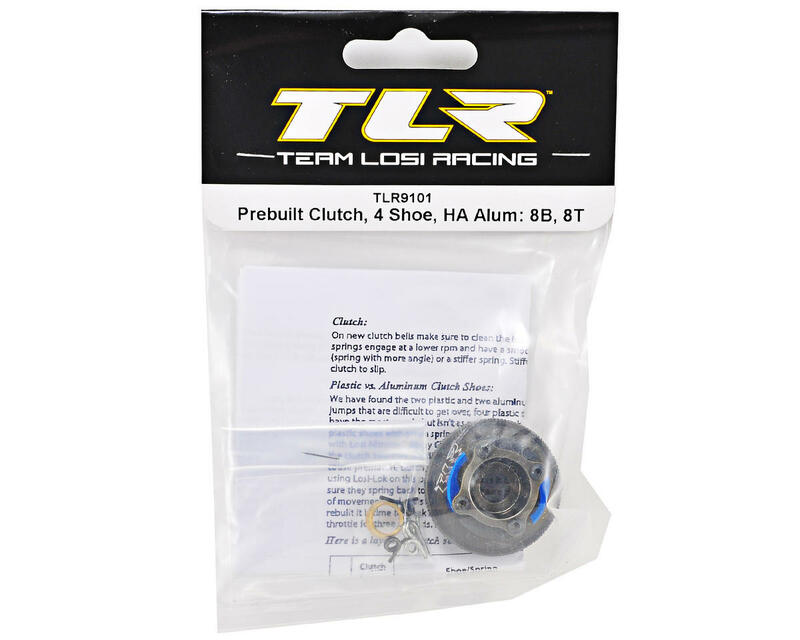 This is an optional Team Losi Racing Pre-Built Aluminum 4 Shoe Clutch, and is intended for use with the Losi 8IGHT family of vehicles. 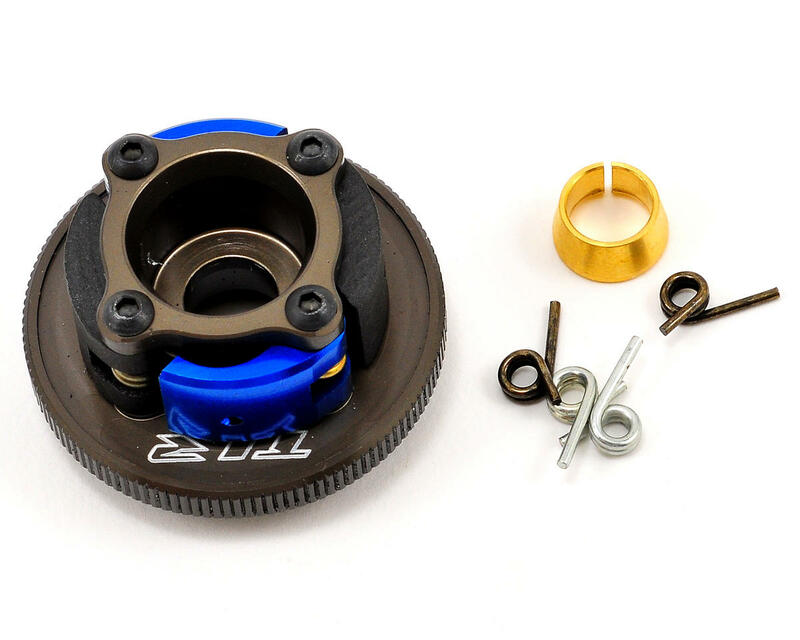 This pre-built clutch has been hard anodized for increased lifespan when compared to the original blue Losi clutch, and includes two aluminum shoes, two carbon shoes, as well as two black, two green, two gold and two silver clutch springs allowing you to tune the clutch for a variety of track conditions. Very light assembly, well built, good quality & fit.